The hospitality industry is growing at a faster rate than ever envisaged and today it has no boundaries. So high is the confidence in this industry that the only restriction is 'Ambition'. Over 250 million people around the world are estimated to be employed in this sector alone. Statistics indicate that one job is created every two and a half seconds by the Hospitality Industry. Being a trade that encompasses industries like Aviation, Shipping, Entertainment, Catering, Multiplexes, Shopping malls, Call centers and of course Hotels and Restaurants; opportunities are pouring in with exciting careers, assured jobs, handsome pay packets and above all International recognition and Job satisfaction. 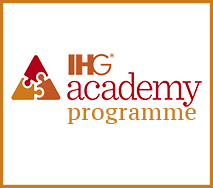 For a professional, Hotel Management is a very lucrative segment, capable of offering a long growth oriented career. The Hotel sector itself requires a large number of well trained professionals with excellent skills in Housekeeping, Food & Beverage, Service and Production, Marketing, Accounting, Security, Engineering, Fire fighting, Public relations and so on. 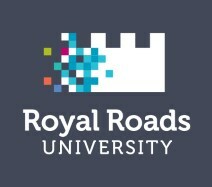 A graduate in this field can find ample job opportunities in Customer Relations, Sales, Marketing and Event Management. A few of the career options they can look forward to begin with Management Trainee in Hotel and allied industry, Hospitality Executive , Kitchen Management Trainee, House Keeping Management Trainee , Hospital and institutional catering supervisor, Faculty in Hotel Management Institutes ,Cabin Crew in Airlines, Catering Officer in Shipping and Cruise lines In this fast changing world, the hospitality industry has become the ideal place for those who have an inborn talent to mingle with people, work with them and serve them. The young entrants have to come with an open mind to explore the challenging world of Hospitality business. They will need to be multi skilled, talented and proactive not only to stay afloat but also to stay in demand in the challenging times that lie ahead. The atmosphere in the campus coupled with the cool climate makes it an excellent place for yoga, meditation and martial arts. There is ample area for outdoor games offers excellent facilities for sports like basket ball, volley ball, badminton etc. The facilities provided in the WiFi enabled residential campus includes: a high tech gymnasium with specialized equipments; a jumbo sized sauna and steam bath; a state of the art, international sized swimming pool with Jacuzzi and a unique amphitheatre . 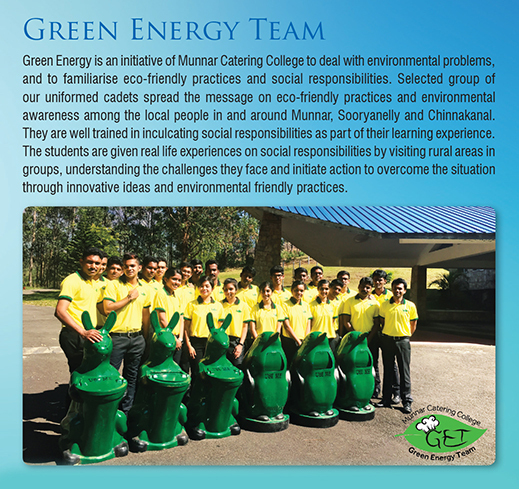 The curriculum at Munnar Catering College is designed to give students a chance to express themselves; to help them understand social and moral values by promoting co-education and to promote practical not just theoretical education through Industry Visits and Internships. Our teaching sessions are not confined to the four walls of a classroom. 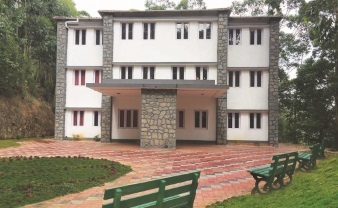 With classes on the banks of the lake or in the shade of the mountains, the close association with nature makes Munnar Catering College truly unique. Munnar, the most genteel of Kerala hill stations carries the foot prints of early British settlers who discovered and tamed the hostile terrain till then untrodden by man. It is not difficult to understand why the British chose this unspoilt, clean, green hill station with its cool climate as their summer capital. Calm and quiet, it is far away from the bustle of the city. Rolling tea plantations, misty mountains, crystalline springs, low flying clouds and silky grasslands make Munnar an ideal location for a professional residential educational institution. Munnar Catering College is established by Thachankary Foundation, a trust registered in the state of Kerala with a vision of giving a new dimension to Hospitality education, that no one has ever experienced before. The Management is determined in maintaining an excellent academic ambience, discipline and environment, in a campus ideal for an educational institution of excellence. 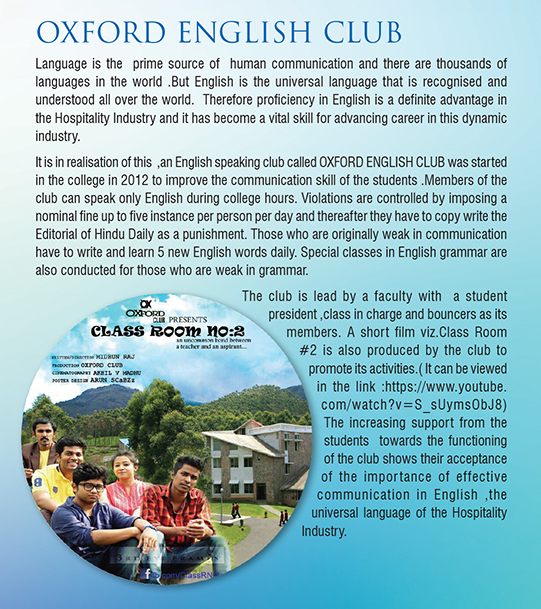 By offering training in international standard MCC aims at creating qualified professionals in a globalised context. In view of the technological growth and development at the national and international level, the college has introduced many new facilities in the campus for operational efficiency and convenience. 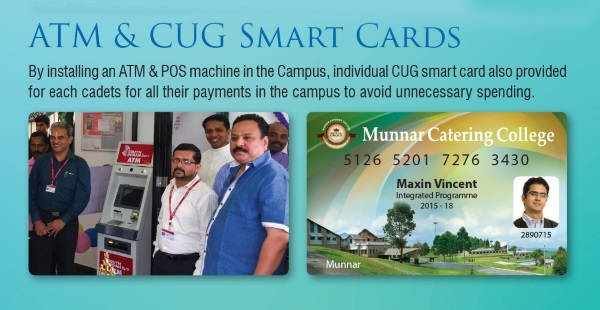 By installing an ATM/POS machine in the college premises, individual Smart Card is provided for each student for all their payments in the campus to avoid unnecessary spending. Similarly, for any payment outside the campus all students are being provided with a Co-branded International Debit Card in association with leading banks. Thus the 100% Wifi Campus of MCC has become the first 100% CASH LESS CAMPUS among such professional colleges in the state. The College has already been branded as a totally ALCOHOL FREE, TOBACCO FREE and RAGGING FREE CAMPUS. The College has also introduced the BUDDY SYSTEM, offering guidance, assistance and motivation by 2 senior students and a faculty, to all newly admitted students, for their exclusive personality and professional development. For inculcating a healthy competitive spirit in each student all are compulsorily enrolled in The ACHIEVERS' GUILD categorising them under Silver, Gold, Platinum and Diamond groups based on strict parameters. Elevation to higher group will attract more exposure and better opportunities even for employment. For our students the campus life is a period of transformation into a responsible global citizens, making them capable of facing the future with resilience and optimism. Therefore a graduate of MCC will be highly sought after in the industry and the work place, valued for their education, range of skills and professionalism. Life in the campus is not a training ground for a sedentary lifestyle circling around the class room tables; it offers a wide range of activities for a sound mind and a healthy body. Being a 100% residential institution, excellent facilities are offered in the residential campus for indoor and outdoor activities which include basketball, volley ball and shuttle courts, a high-tech gymnasium with specialty equipment, a jumbo sized sauna and steam bath, state of the art swimming pool with Jacuzzi, fully stocked library, modern class rooms, WIFI using Optical Fibre and above all a functional helipad, to name a few. As part of the earnest desire of the management to create one of the well disciplined residential colleges in the state, all students shall compulsorily observe the prescribed code of conduct inside and outside the campus. College campus is a place to find valuable friendship and to cherish unforgettable moments. We, here at MCC strongly condemn any kind of ragging practices. Our students welcome the fresher's with flowers and advices and they do not believe in violence or unhealthy practices. Our faculty members impart good values with education and that is what set MCC apart.